Obama’s national address to the nation Monday night was followed shortly by a post-speech Republican skunk spray, an array of conservative critters showing up on television with something powerfully odoriferous to foul the air. While some of them pretended to be suffering from acute brain trauma which prevented them from remembering the entire Bush administration, others were pitifully afflicted with sudden onset Alzheimer’s depriving them of the ability to recollect the Republican congress in which they themselves actually served. There was a particularly tragic gap in short-term memory when it came to the 1.2 trillion dollar deficit they and Mr. Bush bequeathed the nation. Apparently lost in this tragic wiping away of years past were the watercolor memories of voting for a string of Republican spending bills and tax reductions that managed to flip the Clinton surplus into another Republican deficit hole. Poignantly, and with many sympathetic viewers rooting them on, these congressional Republicans struggled bravely to recall the seven times they themselves voted to raise the debt ceiling over the course of a decade, even with the national debt approaching double digit trillions. But alas, no matter how courageously they struggled to recall, they simply could not. I’m not ashamed to admit that after watching this tenderly sad but inspirational drama I was reduced to laughter. Sometimes, those ravaged by these mysteriously selective assaults on the precious parts of the brain containing memory will be entirely convinced that something that never actually happened happened, or conversely, convinced that something that absolutely did, did not. This may cause the person to say something that, were they not so painfully under the duress of illness one would consider a brazen lie. 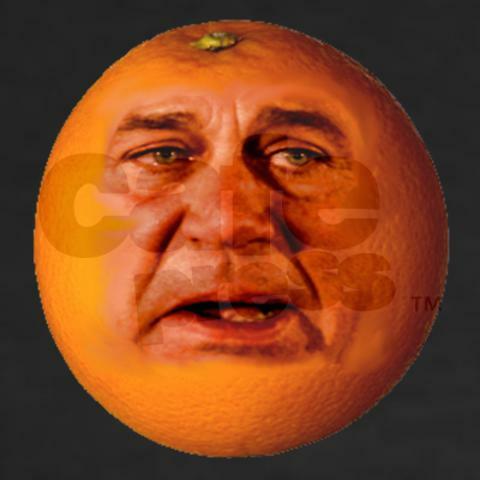 Such an unfortunate event happened last night to Mr. Boehner. Understanding our, and my own personal obligation to come to the aid of those struggling so mightily with a crippling condition, I must do all that I can to resuscitate and rehabilitate Mr. Boehner’s recently irrigated memory. So I will provide an accumulation of sources designed to violently but helpfully jar the memory, confirming the consensus by economists, business leaders, and every objective observer that the stimulus program was an unconditional success, though of course, it was a program opposed by almost all Republicans, who indeed were somewhat successful through misinformation and obstruction in significantly limiting its size, and the potential scope of its effects. Knowing that any ground gained in restoring memory can easily be rapidly lost again to those suffering from these debilitating traumas to memory, in the future I will continue to remind Mr. Tangerine, and others similarly afflicted, of these facts as often as necessary in this space. Oct. 25 (Bloomberg) — The economy in the U.S. probably grew in the third quarter at the fastest pace in two years as government stimulus helped bring an end to the worst recession since the 1930s, economists said before reports this week. The Commerce Department reported that the gross domestic product — a billboard number that tallies the country’s economic output — shrank by an annual rate of 0.7 percent from April through June, a revision from earlier estimates of a 1 percent contraction. It was a sizable improvement from the pace of decline in the first quarter of the year, when the economy shrank at a rate of 6.4 percent as the financial crisis sent shock waves through the economy and caused businesses and consumers to virtually lock down spending and investment. The numbers for the second quarter appeared to get a lift from the government’s $787 billion stimulus package. Federal, state and local governments spent more, and business spending on equipment and software was better than first reported. Military spending rose, and American exports posted a narrower drop than imports, a balance that lifts the government’s G.D.P. figures. Economists were heartened by the final revisions after an earlier adjustment found no change in the pace of contraction in the second quarter. Oct 15th, 2009 | WASHINGTON — Businesses that received federal contracts under the economic stimulus are reporting more than 30,000 jobs saved or created in the first months of the program. The fiscal stimulus is working. It is no coincidence that the Great Recession has ended just when the stimulus is providing its maximum boost to the economy. The stimulus is doing what it was supposed to do: Short-circuit the recession and spur recovery. WASHINGTON -(Dow Jones)- Economic experts credited the Obama administration’s stimulus plan with helping boost the nation’s gross domestic product, but Republican lawmakers warned at a Thursday hearing that the effect could be short-lived. Earlier on Thursday, the U.S. Commerce Department’s Bureau of Economic Analysis released data showing the GDP increased by 3.5% in the third quarter. Steven Landefeld, director of the Bureau of Economic Analysis, noted that even without motor vehicle sales, real GDP still grew by 1.7 percentage points. Real spending on durable and nondurable goods and services all increased during the third quarter. Several prominent economists testifying at the hearing directly linked the growth in GDP with the $787 billion stimulus package approved by the Obama administration in February. Even more effective are increases for food stamps ($1.74) and unemployment checks ($1.61), because recipients quickly spend their benefits on goods and services. By contrast, most temporary tax cuts cost more than the stimulus they provide, according to research by Moody’s. That is true of two tax breaks in the stimulus law that Congress, pressed by industry lobbyists, recently extended and sweetened — a tax credit for homebuyers (90 cents of stimulus for each dollar of tax subsidy) and extra deductions for businesses’ net operating losses (21 cents). WASHINGTON — Government efforts to funnel hundreds of billions of dollars into the U.S. economy appear to be helping the U.S. climb out of the worst recession in decades. The U.S. economy is beginning to show signs of improvement, with many economists asserting the worst is past and data pointing to stronger-than-expected growth. On Tuesday, data showed manufacturing grew in August for the first time in more than a year. “There’s a method to the madness. We’re getting out of this,” said Brian Bethune, chief U.S. financial economist at IHS Global Insight. WASHINGTON – The economic stimulus law added between 1 million to 2.1 million workers to employment rolls by the end of last year, a new report released Tuesday by congressional economists said. The nonpartisan Congressional Budget Office study also said the $862 billion stimulus added between 1.5 to 3.5 percentage points to the growth of the economy in 2009. The controversial stimulus law combined tax breaks for individuals and businesses with lots of government spending. The report reflects agreement among economists that the measure boosted the economy. But the wide range of estimates means it won’t resolve the debate over how effective the stimulus has been. CBO projects that the stimulus measure to have a greater impact this year, boosting gross domestic product by 1.4 to 4 percentage points and lowering the unemployment rate by 0.7 to 1.8 percentage points. The report said the most efficient parts of the stimulus include infrastructure projects such as road- and bridge-building and more generous unemployment benefits. On the other hand, the popular first-time homebuyer tax credit isn’t a very efficient use of stimulus dollars, the report said. The economy has shed 8.4 million jobs since the start of the recession in December of 2007, though job losses have slowed in the past couple of months. Happy Birthday, Dear Stimulus! Don’t listen to those Republicans—you’re a big success. So in the year since the stimulus bill was passed, it’s become more and more difficult for opponents to make the case against it. And that opposition will get tougher still, because the stimulus has barely kicked into gear. The package was designed to be rolled out over a three-year period, in part because of logistics (it’s tough to approve tens of billions of dollars of loan guarantees to wind-energy farms and solar power arrays in a few months) and in part because of politics. Recovery.gov shows that only about one-third of what has been budgeted for tax breaks, new spending, and entitlements has been spent. While Congress’ horizon extends only as far as November 2010, the Obama administration is looking ahead to November 2012. Congressional Democrats would have preferred a frontloaded stimulus that spent everything in 2010; the White House isn’t particularly troubled that large chunks of the stimulus won’t hit the economy until 2011. Thanks to the stimulus bill, there’s still $515 billion worth of tax cuts, contracts and loans, and aids to entitlement programs set to enter the economy in the next two years. That will contribute powerfully to growth in 2010 and 2011.